What does Vikramjit mean, details, origin, short & easy attributes? Vikram, also Vickram or Vickrum, is a male name in the Hindu community. The most common understanding of the name Vikram is valorousâ€”one who is wise, brave and strong as well as victorious. Like many Hindu names, the name Vikram has a number of significant interpretations and connections. Vikramjit is baby boy name mainly popular in Sikh religion and its main origin is Hindi. Vikramjit name meanings is God of bravery. Other similar sounding names can be Vikramajit. Each letter meanings in Vikramjit Name. Popular personalities with Vikramjit Name. 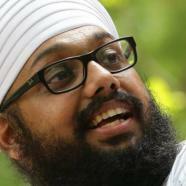 Vikramjit Singh Rooprai is a founder and youth for heritage foundation. Vikramjit was born on February 10th, 1983 in Manama.